Do you want to raise chickens on your property, but do not have a chicken coop available? 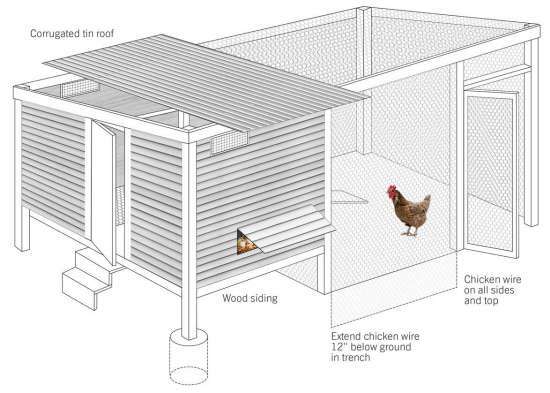 This is not a problem as you can easily build a chicken coop as a DIY project. A chicken coop is a small structure that is similar to a house as you need to start with a frame. You have the option to build a chicken coop from new lumber or scrap lumber. If you have scrap wood left over from another project, then this will be a cheaper way to go. All you need is a design like this one to use for building the frame so it will be sturdy. The interior is the next thing you need to set up if you build a chicken coop on your property. If the outside needs to be finished, then there are options to consider. This includes adding shingles to adding a gate to keep all of your chickens protected.